January 26, 2005-The Italian and Spanish system operators, GRTN (Gestore della rete di trasmissione nazionale) and REE (Red Eléctrica de España), have selected ALEASOFT (aleasoft.com) for the supply of electricity demand forecasting software. The objective of both projects is to reinforce the forecasting areas in REE and GRTN, using the automatic forecasting tools provided by AleaSoft. Tools provided to GRTN are “AleaShort” (for short-term hourly forecasting) and “AleaMid” (for mid-term hourly forecasting). In the case of REE, the provided tool is “AleaShort”. Both “AleaShort” and “AleaMid” are based on the same forecasting methodology: they use AleaSoft Neural Network, that learns from the past behaviour of demand and generates forecasts in the future. The superior performance of AleaSoft Neural Networks in comparison to others in the market is due to the robust and automatic adjustment process. Once the applications are installed, they do not need regular supervision or adjustment done by a specialist, as the Neural Networks parameters are automatically adjusted on the basis of past results. The provided tools will enable to generate accurate and automatic forecasting of National and Regional electricity demand. AleaSoft contracts with REE and GRTN reinforce the position of AleaSoft as a leading provider of robust and reliable forecasting tools. They are also strategic for AleaSoft expansion policy in Europe. 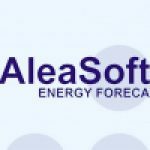 AleaSoft, born on 1999 as a spin-off of Universitat Politecnica de Cataluña (UPC), provides a cutting-edge technology for energy forecasting that meets specific needs for accuracy and automation. AleaSoft is a leading supplier of this kind of solutions, with clients such as Enel, Endesa Italia, GRTN, REE, Endesa, Iberdrola, Unión Fenosa and Viesgo. GRTN contract strengthens AleaSoft position in Italy, where AleaSoft has already done other projects for Endesa Italia and Enel. Endesa Italia belongs to Endesa, the leading utility in Spain, with activity in Latin America and the European Mediterranean region, particularly in Italy. Enel is one of the most important electricity generation companies in the world (with more than 42.000 MW) and is the first electricity company in the world in stock-exchange capitalisation.